One of the first things Gulf Coast Associates will do before putting your Southwest Florida home on the market is helping you to prepare and stage your house for sale. We want to show your home in its best possible light to maximize your earning potential. We'll inspect your house with the eye of a buyer - what works, what doesn't work. We'll discuss things and make suggestions you can review to help you sell your home as quickly as possible. The typical Southwest Florida home buyer is usually very sophisticated and comes armed with a "critical" eye. That means from the moment they drive up to your home until they leave every aspect of your home needs to be "pleasing and clean." More and more buyers realize that upgraded stainless steel appliances, large tile, and the "Tommy Bahama" look is readily available in today's marketplace. And, many buyers cannot "see past" what you may currently be selling. Please don't think we are saying give your home a complete makeover - that's not our intent, instead realize that just some new paint, the removal of your personal items, and a little landscaping may be exactly what these buyers need in order to purchase your Southwest Florida home. Does your home have curb appeal? Curb appeal means when you drive down the street does your home's yard look neat? Clean edges between grass and flower or tree beds, do they have definition? Is your grass green? Does the property look well cared for? If not, then think about having a professional landscaper do the edging, provide weed and fertilizer products, and incorporate some pleasant colored pots filled with flowers near your front door. Clean up your drive and entryways - spots and discolorations detract from the exterior features - get rid of them. It is relatively inexpensive to have a driveway, and sidewalks, cleaned or painted to enhance the initial impression of your home. Then look "critically" at what greets the buyer once the front door is opened. Is your carpet freshly vacuumed and free of stains; is there no offensive pet or other odors? Remember, if you have pets or other problems, you probably do not "notice" these smells any longer. Invest in carpet cleaning (steam is best) and then be sure to paint the interior walls too. As we walk in the door of your house, we'll ask ourselves, will this house say, "Welcome Home" to the buyer? Looking through the eyes of a buyer, we'll recommend changes that will enhance sales appeal. We'll help you eliminate anything that gives the appearance of clutter. Countertops should be free and clear. Knickknacks, souvenirs, family photos, refrigerator artwork - it's gone. We need to "de-personalize" the house, so buyers can imagine it as their home. Closets and cupboards should appear large and roomy. It's time to make a donation to a local charity or store belongings at a friend's or family member's home. Some clients even prefer moving extraneous personal items to a storage facility for a temporary time period. Reviewing your home room-by-room, we will make "recommendations" that may impact the sale. We'll point out the pieces of furniture that should be removed, rooms that need new paint, carpet that needs to be changed, fixtures that need polishing, windows that need cleaning, and any other improvements that can easily be made to help promote the sale. Before the first buyer walks in your door, we'll show you how to "set the stage." We want to engage the buyer's senses. Lighting is critical. Draw back curtains, open blinds, change light bulbs and add lighting where needed to "welcome" the buyer. Enhance the ambiance with music playing lightly in the background and ensure a pleasing aroma emanates throughout your home. You only get one chance to "make a first impression." 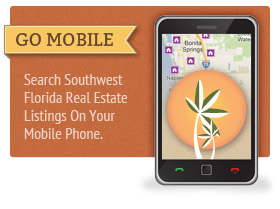 When buyers are looking at your Southwest Florida home, they will usually know almost instantly whether they like it or not. Make sure that by the time they get to looking at your home, you make the "first impression count." 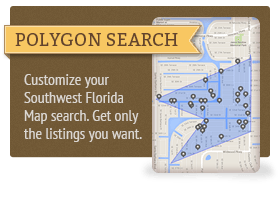 Questions About Staging Your SW Florida Home?